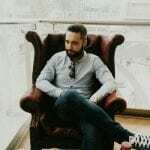 Samsung Galaxy Watch News – Samsung is prepping for the release of its latest wearables smartwatch, the Samsung Galaxy Watch. 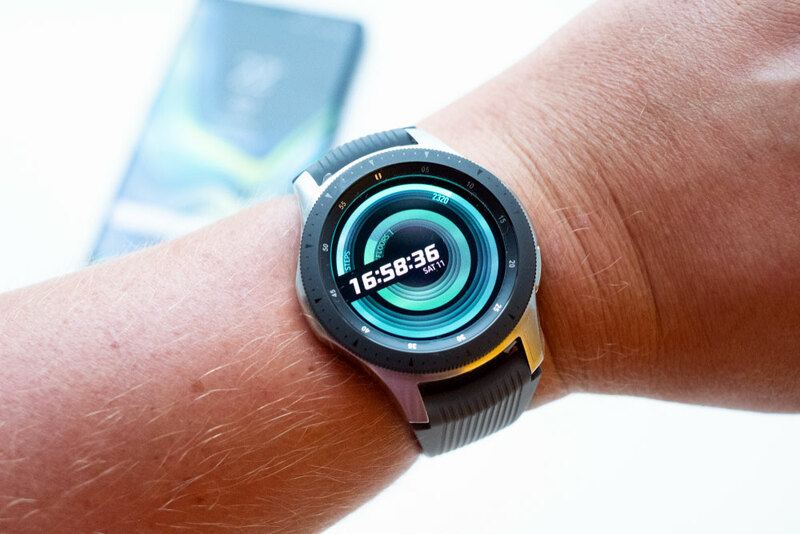 Announced on the 9th of August at the latest Samsung event in New York, the Samsung’s new smartwatch is expected to hit the shelves on the 26th of August in the US, and on the 6th of September, here in the UK. 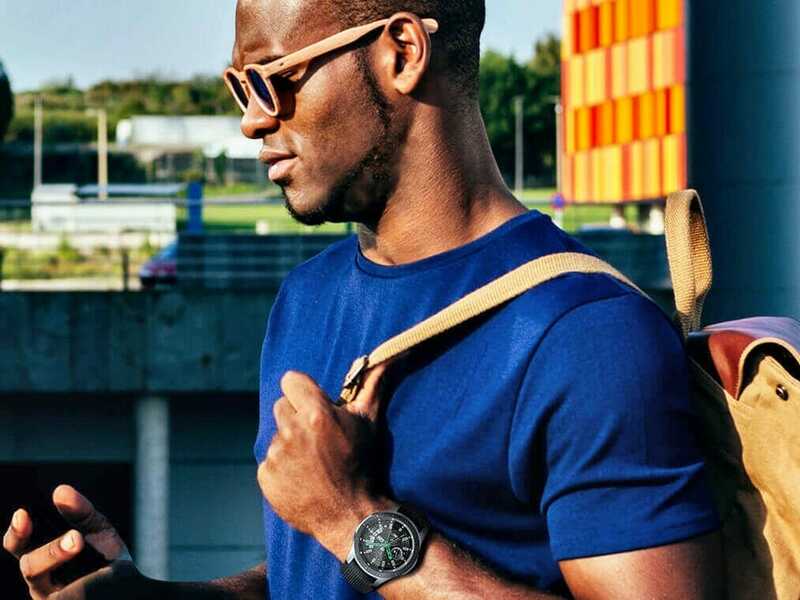 However, both the UK and the US can pre-order the new Samsung Galaxy Watch right now, online. 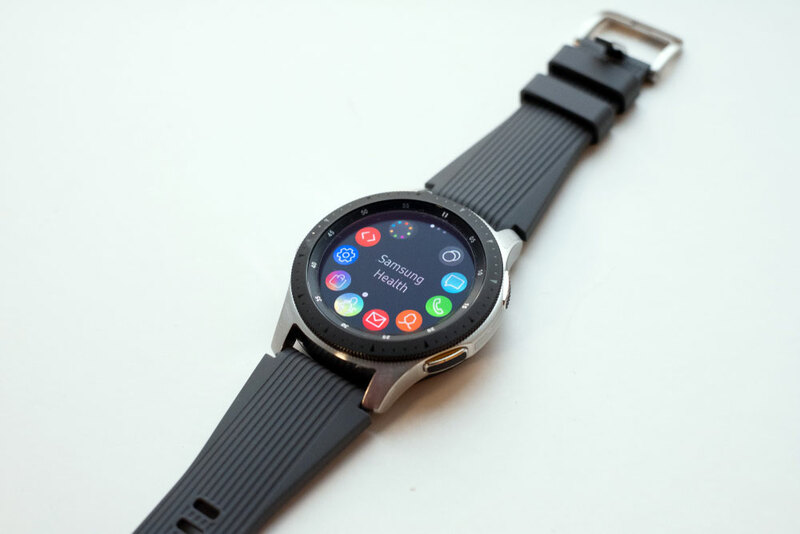 The new Samsung Galaxy Watch comes in two case sizes – 42 millimetres priced at £279, and 46millimetres priced at £299. To date, only the US can order the Bluetooth version of the smartwatch. According to Samsung, “sometimes later in the year” an LTE version will arrive in the UK, with the EE network the first to have it on offer. 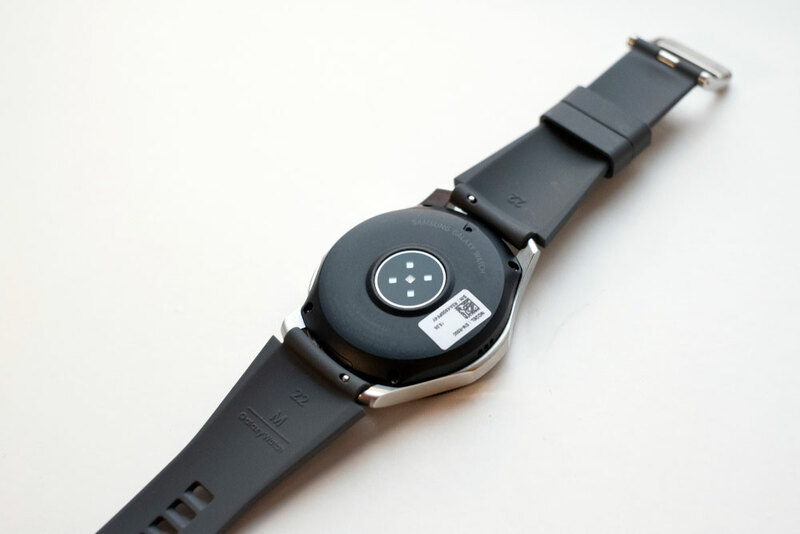 The smaller version of the smartwatch is 12.7mm thinner and weighs 49g, without the strap. The case colours are Midnight Black or Rose Gold. The larger Samsung Galaxy Watch is 13mm thick, weighs in 63g, and it only comes in silver colour. 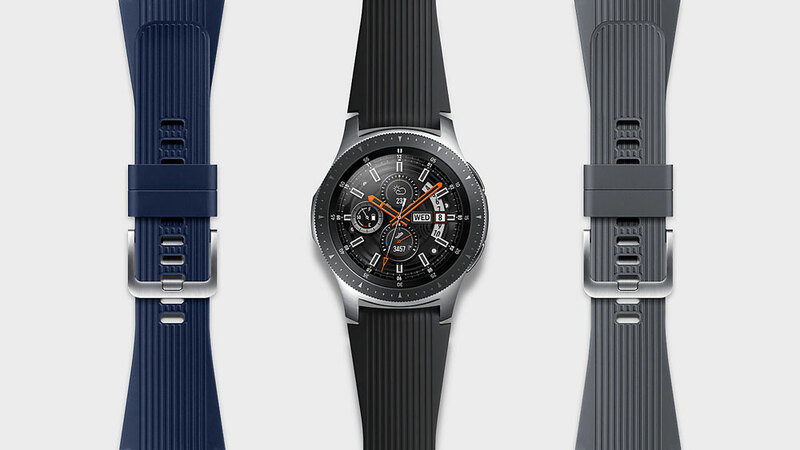 However, you can pair the larger smartwatch with 22mm official straps, available in black, grey, and blue colours. 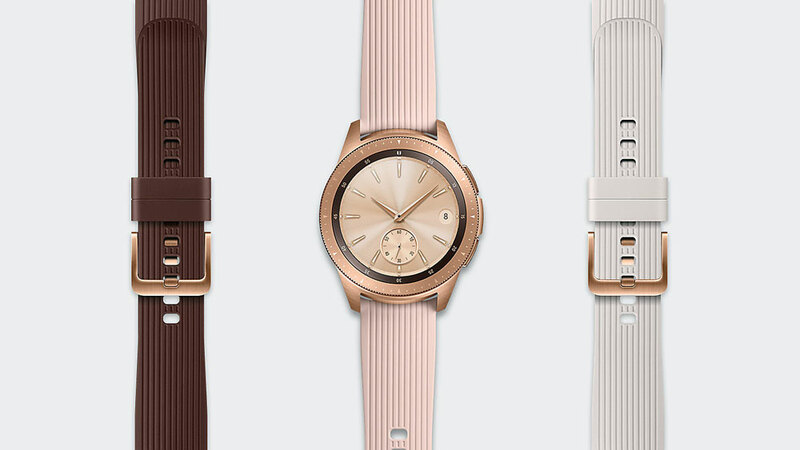 Both versions of the new Samsung samrtwatch have a rotating bezel that lets you interact with the apps or set up your favourite watch face, selected from over 60,000 options. 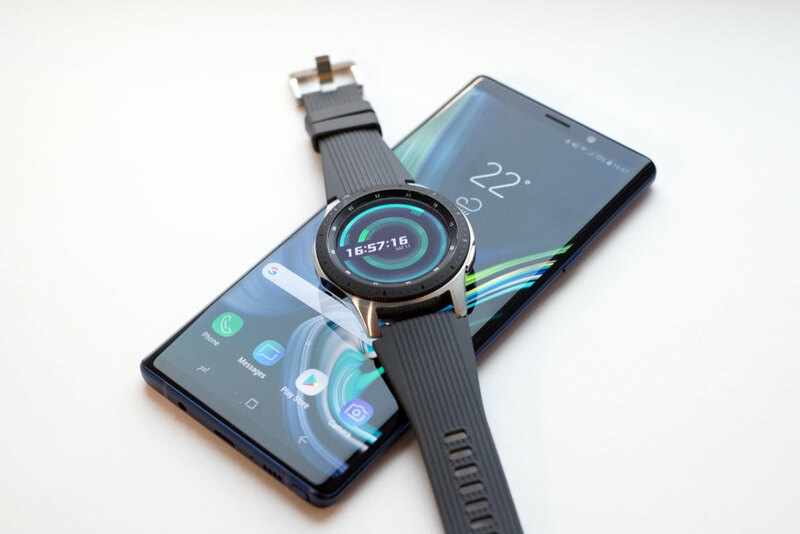 Also, a “Wireless Charger Duo” that allows you to charge your smartwatch in parallel with your smartphone is offered by the South Korean company for free, if you pre-order your Samsung Galaxy Watch now. 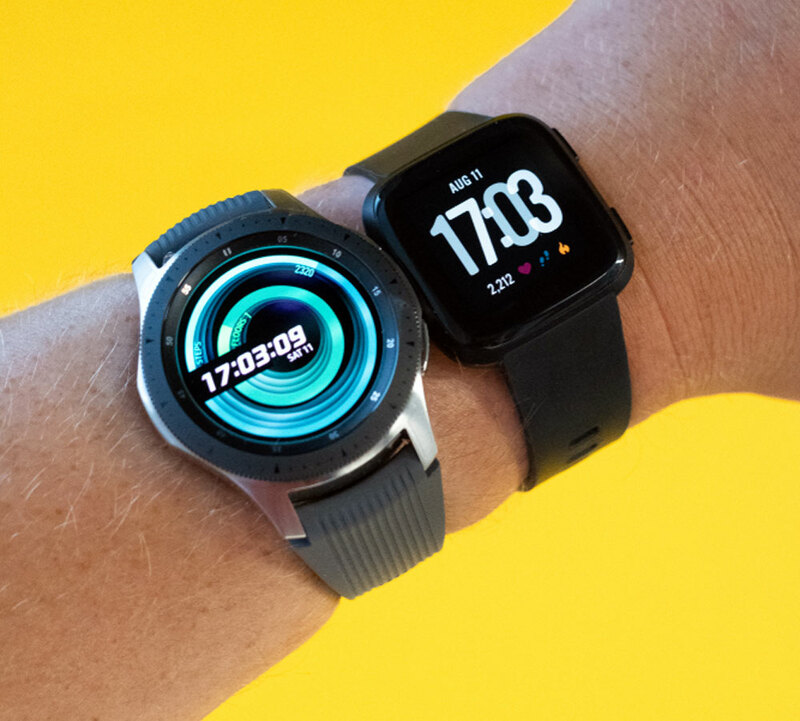 If bought separately, the Wireless Charger Duo would set you back £89 so make sure you pre-order the new Samsung Galaxy Watch before the 7th of September to take advantage of the free offer. Samsung Galaxy Watch is water resistant up to 50metres. The new model brings a wide range of enhancements designed to improve the user’s overall fitness level and health status. Also, it can detect over 40 types of activities and starts to track your workouts automatically. Moreover, the Samsung Galaxy Watch has the ability to make and receive phone calls without the need for a smartphone. 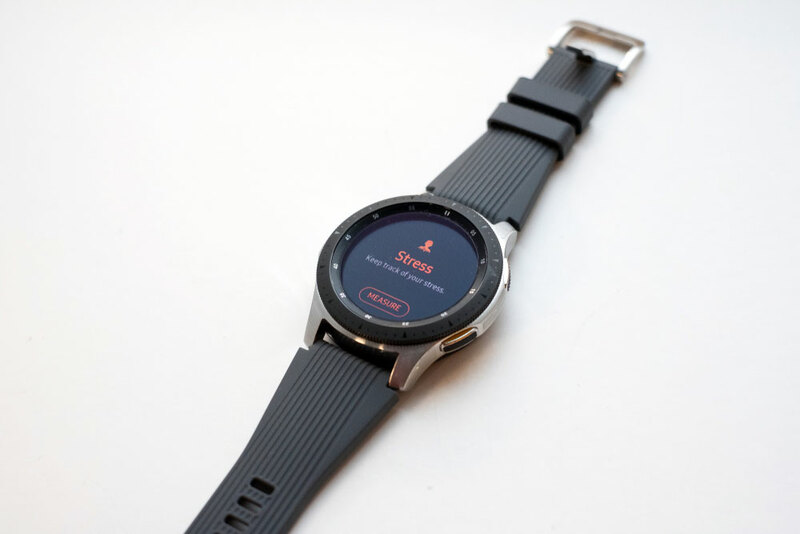 Also, similar to Apple Watch, Samsung Galaxy Watch can now track your level of stress and tell you when you need to relax or take a break. 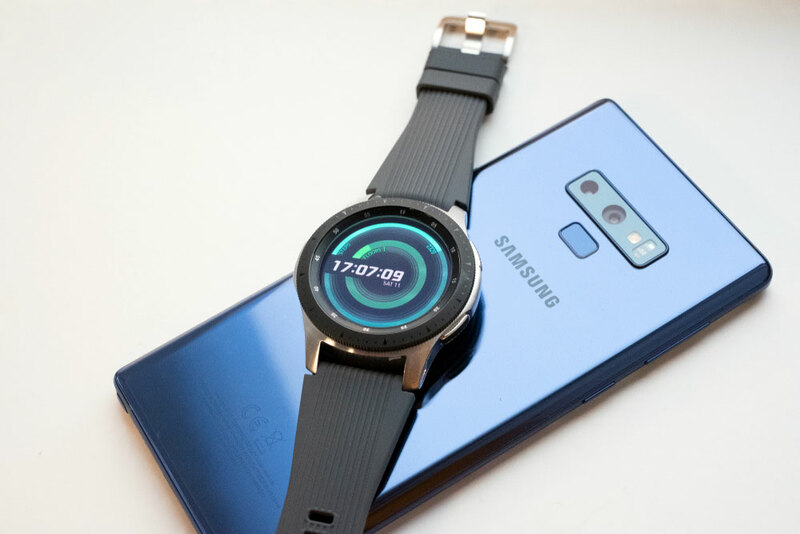 According to the South Korean tech giant, the more expensive model of the Samsung Galaxy Watch lasts a whole week on a single battery charge. 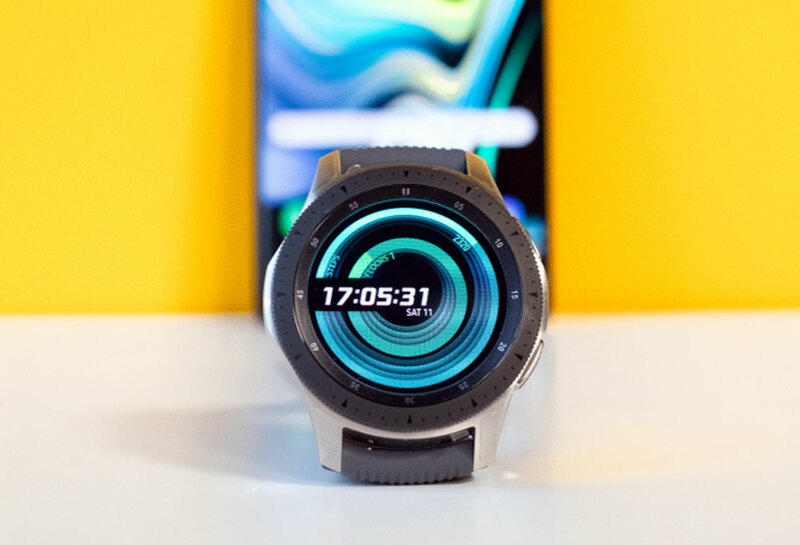 Samsung has gone a long way with its latest wearable smartwatch, not just specs and design-wise, but as a must-have statement of the modern, conscious, tech-inclined consumer.